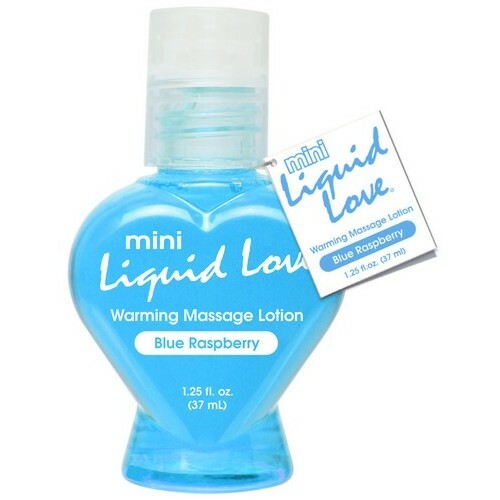 Body Heat Warming Massage Lotion adds heat to your seduction. These edible, warming massage lotions are perfect for any encounter. Whether it's for all-over pleasure or to give special attention to your favorite erogenous zones, simply rub it on and then turn up the heat with a lick or hot breath. Delicious fun for both of you! Type: Heating Massage Lotion Volume: 1.25 ounces. Flavor: Strawberry. Ingredients: Glycerin, Water Aqua, Sodium Saccharin, Sodium Benzoate, Potassium Sorbate, Flavor, Citric Acid.